In addition to understanding our clients’ financial needs, Elders Agri Finance Managers can link you directly with agribusiness experts to help you plan for your financial future. Elders provides tailored solutions and access to a range of savings and investment products from leading agribusiness bank, Rural Bank. The Rural Bank Seasonal Account is designed to be used for all your day-to-day needs, whilst paying interest on credit balances. You can also apply for an overdraft limit for your Seasonal Account at any time. A highly effective risk management tool that allows farmers the ability to shift before tax income from years when they need it least to years when it is most needed. This can then be used to manage exposure to adverse economic events and seasonal fluctuations. 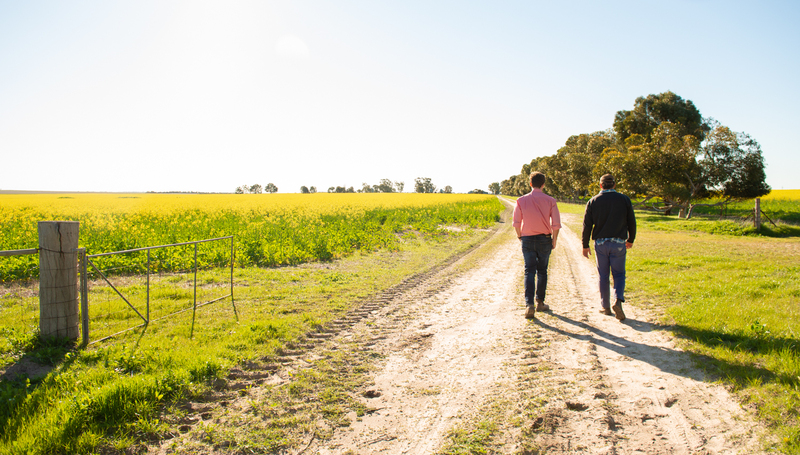 Rural Bank offers both fixed and variable farm management deposits, providing flexibility to manage your tax position and maintain your income. Ideal for anyone requiring a guaranteed income stream or for people who don’t need immediate access to their funds. Terms range from 1 month through to 5 years, with your interest fixed at competitive rates for your chosen term. Depending on the term you select, you can also nominate the frequency of your interest payments. A transactional account with the benefits of a savings account. With a minimum deposit of $5,000, this account combines competitive interest rates with low cost services, while giving you convenient access to your funds. Elders is excited to offer a Farm Management Deposit Offset Account, through leading Agri Finance specialist Rural Bank. This means you may now be able to use your Rural Bank Farm Management Deposit balance to offset a Rural Bank Variable Rate Term Loan, which may reduce your interest costs. To find out more about this option please contact your local Elders Branch or Agri Finance Manager. This information has been prepared without taking into account your personal circumstances, objectives, financial situation or needs. For farm management deposits special legislative requirements must be adhered to and you should consult your taxation advisor before making a decision to invest in a farm management deposit.Terms, conditions, fees and charges apply. Full details are available on application by phoning the Rural Bank Customer Service Team on 1300 660 115 or online at www.ruralbank.com.au or by visiting your local branch. All information is subject to change. For deposit products Elders Rural Services Australia Limited may receive a commission based on the average account balance. Full details are available in the Elders Financial Services Guide (FSG). Products are issued by Rural Bank Limited ABN 74 083 938 416 AFSL 238042. Products are distributed by Elders Rural Services Australia Limited ABN 72 004 045 121 AFSL 237757. Contact your local Agri Finance Manager on 1300 618 367. Enter your suburb or postcode to find your local Elder Rural services branch.